please pray i may find a job which God knows will be fulfilling and challenging and pay my bills. Pray my Mom stays safe, healthy and happy. Pray that I may find true love again as I am very lonely. Pray that God directs me to where I should be, what I should be doing, and where. Pray my animals stay safe and happy and that I may provide for them. 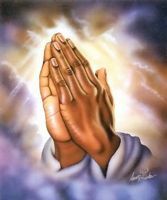 Pray I may be guided and increase my strength that my depression and anxiety may be management. Pray that K. opens his heart to the love and friendship I have to give. That he sees the GOOD in me.